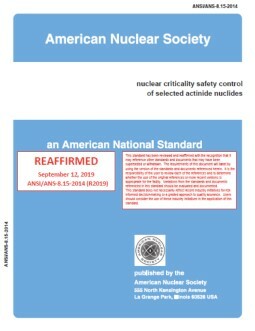 This standard is applicable to operations outside of nuclear reactors with 235U, 233U, 239Pu, and other fissionalble materials in which shielding and confinement are provided for protection of personnel and the public. 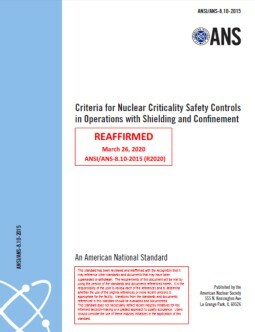 Criteria are provided that may be used for criticality safety controls under these conditions. 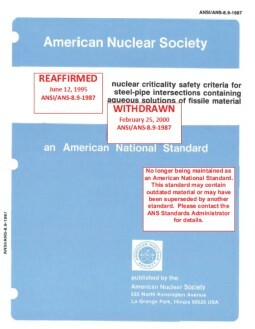 This standard does not apply to the assembly of these materials under controlled conditions, such as in critical experiments. This standard does not include the details of administrative procedures for control, which are considered to be management prerogatives, details regarding the design of processes and equipment, or descriptions of instrumentation for process control.